Jim Cody is a poet, essayist, prose writer, registered nurse and teacher. 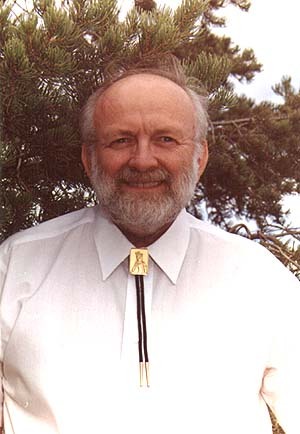 He is the author of Colorado River, a prose book on the Colorado River of Texas; Return, a collection of poems; Prayer to Fish, a long poem, and A Book of Wonders, a collection of prose poems. His most recent book is My Body Is A Flute, a collection of poems from 1974 through 1993. He has published his poetry widely in the United States; also in Ireland, Italy, and Malaysia, both in translation and in English, and has been anthologized numerous times. His most recently published poem is "Siraoi" on the ritual killing of bears among the Ainu on Hokkaido, Japan in the bear anthology, G-r-r-r-r-r. He has travelled widely, lived on three continents, and taught English in Korea at Danguk University, Seoul from 1987 through 1989 and is a translator of Old Gaelic and Spanish. He is married to the Korean artist Jeong Ja Kim and is a doctoral student in postcolonial literature at Texas Tech University in Lubbock, writing the dissertation on James Joyce's Ulysses. He received his M.A. in English, from the University of Texas at El Paso in 1995 with a thesis on the postcolonial trickster tradition of Hsuan Tsang, 7th Century Chinese Buddhist monk. He also received a B.S.N. from the University of Texas Health Science Center at San Antonio in 1991, and a B.A. in philosophy and history from the University of Texas at Austin in 1970. Mr. Cody is a native of the Ozarks, and grew up mostly in Texas, Missouri, Arizona, and Kansas. He is of that American Cody family that includes among its members William Frederick ("Buffalo Bill") Cody and C.C. Cody, formerly of Southwestern University, Georgetown, Texas, whom Southwestern author J. Frank Dobie credited with being a profound early influence on his world view. Note on cover: The photo shows the author, age 9, with Smiley Burnette (Gene Autry's sidekick) at Fort Scott, Kansas in 1953 or '54. Editor's note: Jim White Bear Cody was involved in a severe motor vehicle accident in Lubbock, Texas on the evening of July 28th, 2002. He was pronounced dead at the scene but was revived at the hospital, where he remained unconscious for a few more days before passing on. He leaves behind his wife, the Korean artist Jeong Ja Kim, their five year old daughter Po-Hyeon, two sisters, and two nephews. Jim was born in 1945. The online version of his web journal Na'to'na Review had just made its debut. In fact, shortly before his death Jim uploaded substantial new material and then, curiously, handed over the editorship to Ross McDaniel and Santiago Oda. The speculation is that Cody the Trickster was at work here. Refer to the following web site with a poem in Spanish by Fray Luis de León. Also go to this site about the Ozarks, Jim's birthplace, which mentions the surnames Ross and McDaniel. Jim was also very close to receiving his doctorate from Texas Tech. His dissertation was a reading of Joyce's Ulysses as trickster tale "devolving on cattle mythology." It was tentatively titled "It's All Bull and Molly Was A Cow." Throughout his career Jim held very strong convictions about both poetry and social justice. Much of his writing also reflects an abiding spirit of place. May his spirit thus find solace in the sacred workings of the Earth.